Fluid retention over period time? Eat the right food helps. When menstrual period is due, some women find that their faces, fingers, calves and feet are swelling. It is because their body retains fluid. The fluid retention can increase their weight up to 2~4 kilos. At the same time, many women have abdominal bloating, sore or tender breasts. What causes the fluids retention? Fluid retention over period is due to the imbalance of hormone, mostly due to increasing of estrogen, which result in sodium and fluid stay in the body. Often the feeling of swollen during period can be reduced via right diet and light exercise. For instance, stay away from sodium salty food, have more food such as, potato or cucumber. 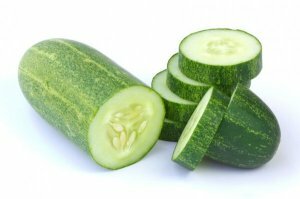 90% of cucumber is water, it is a good source of food to get hydrated. 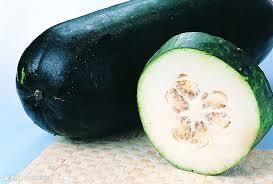 The skin of cucumber contains a substance called isoquercitrin which is diuretic. Cucumber has been used in helping people reduce the excess fluid in the body since ancient China. There were records from traditional Chinese medicine (TCM) that cucumber was used in assisting treating cystitis and acute urine tract infection. Potato has been known for long as “the apple grows in the ground” in the East. 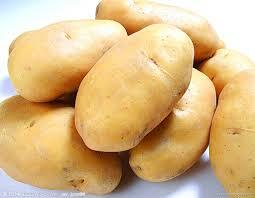 There are plenty of organic sodium and potassium in potato. It can help our body to get rid of the extra culinary sodium and fluid. In order to get the best effect from potato, do not peel its skin. 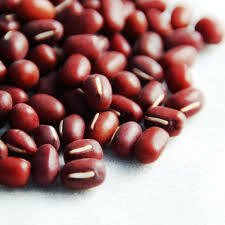 Red azuki beans is rich in potassium and saponin which is diuretic. It has been used to treat water retention in TCM. In order to maximise the best nutritious from red bean, it is better to cook it slowly. Winter melon is rich in potassium. It is a food well known as a natural diuretic. It traditional Chinese medicine (TCM), the seeds and peel of winter melon are herbs both used for edema or water retention. It has a cooling effect and mostly importantly, taste good. Exercises improve both blood and lymphatic circulation. It helps reduce fluid retention. Drink 5 ~6 cups of water every day. It helps hydrate your body so you are less likely to retain fluid. Away from salty food and drinks. Reduce the intake sodium rich food such as bacon, sausages, can food, chips, MSG, soy source, and electrolyte energy drinks. Vitamin B6, Zinc, Magnesium can help relieve pre-menstrual symptoms. Acupuncture and Chinese herbal medicine help balance your hormone and relieve most premenstrual symptoms.